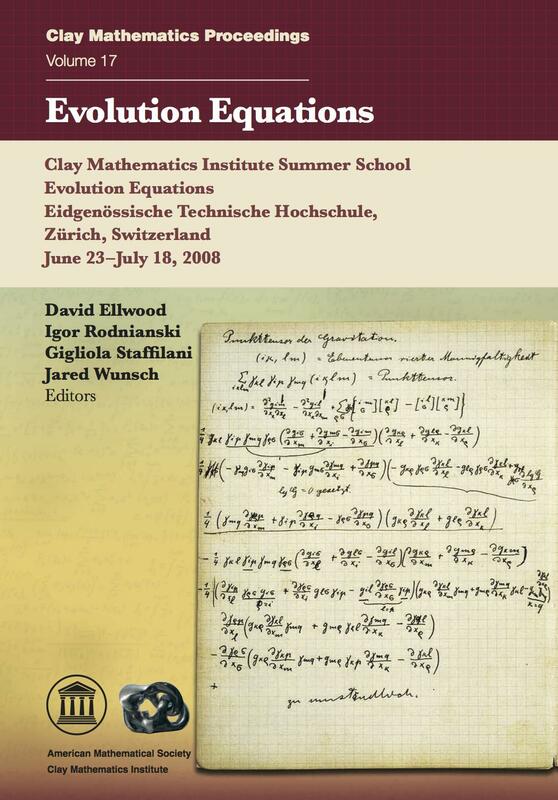 This volume is a collection of notes from lectures given at the 2008 Clay Mathematics Institute Summer School, held in Zürich, Switzerland. The lectures were designed for graduate students and mathematicians within five years of the Ph.D., and the main focus of the program was on recent progress in the theory of evolution equations. Such equations lie at the heart of many areas of mathematical physics and arise not only in situations with a manifest time evolution (such as linear and nonlinear wave Schrödinger equations) but also in the high energy or semi-classical limits of elliptic problems. The three main courses focused mainly on microlocal analysis and spectral and scattering theory, the theory of the nonlinear Schrödinger and wave equations, and evolution problems in general relativity. These major topics were supplemented by several mini-courses reporting on the derivation of effective evolution equations from microscopic quantumn dymanics; on wave maps with and without symmetries; on quantum N-body scattering, diffraction of waves, and symmetric spaces; and on nonlinear Schrödinger equations at critical regularity. Although highly detailed treatments of some of these topics are now available in the published literature, in this collection the reader can learn the fundamental ideas and tools with a minimum of technical machinery. Moreover, the treatment in this volume emphasizes common themes and techniques in the field, including exact and approximate conservation laws, energy methods, and positive commutator arguments.